There is growing evidence of the wide-ranging impacts of corporations in selected industries on global patterns of health and disease. However, limited analysis has been undertaken of the increasing corporate involvement in collective action needed to effectively address these impacts. 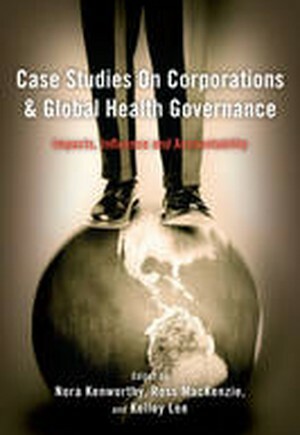 This book brings together a wide ranging collection of case studies that provide new empirical research on how corporations impact on, influence of, and could be held more accountable to, global health governance. Written by leading and emerging scholars from a broad range of disciplinary perspectives, each case study seeks to expand the methods, conceptual approaches and sources of data used to address three key questions: *What impacts are corporations having on global health governance? *How do corporations shape and influence global health governance in ways that protect and promote their own interests? *What forms of global health governance are needed to mediate these corporate impacts in ways that protect and promote population health?